March 7, 2011  Move over McDonald's, Subway coming through! The Wall Street Journal reports today that Subway now has more locations than McDonald's, the brand that personifies the fast food genre. Nuns To McDonald's: What Are You Doing About Overweight Kids? 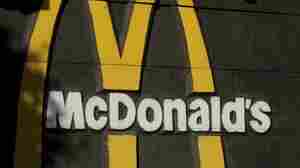 March 4, 2011  The Sisters of St. Francis of Philadelphia want McDonald's to report to the world on what it's doing to address concerns about the health effects of fast food. The nuns are particularly concerned about children's health. 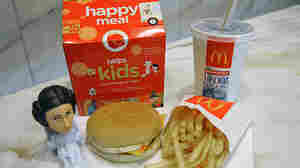 Parents Or Judges: Who Should Rule On Happy Meals? December 15, 2010  When it comes to what kids eat, who should have the biggest say? People are chiming in on a post about a lawsuit filed against McDonald's in California. Vote in our survey. December 14, 2010  The Hamburglar didn't do it, but someone has broken into a database containing the personal information of McDonald's customers. The company says that financial information, such as credit card numbers, was not lost.